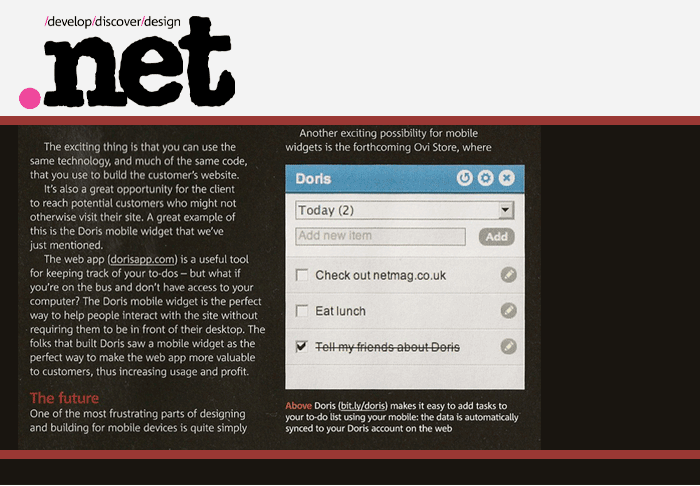 Thanks to the guys over at .NET for featuring the Doris Opera Widget in the August 2009 issue. 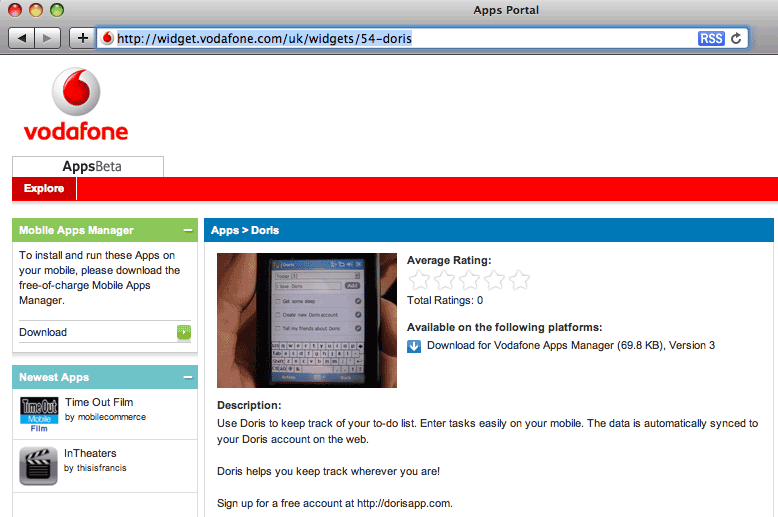 The guys at Vodafone just approved our Doris widget, download it now! 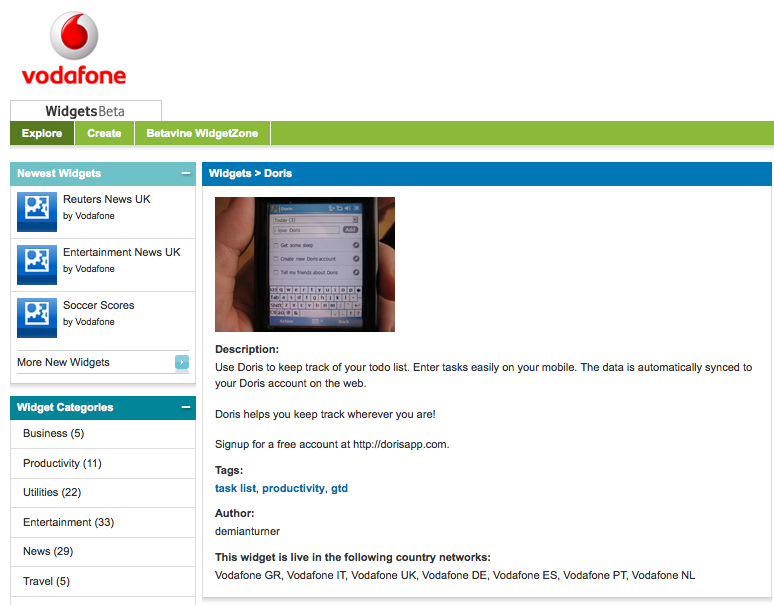 As long as you have the Vodafone Widget Manager you will be able to run Doris on your phone. We’ve been working on making Doris available on multiple devices and platforms, and the first fruits are an OS X widget. Be warned, the widget is blazingly fast! Dmitri and I are now using it as our main access to Doris. Many people prefer to access their online services through means other than a browser, so we hope this does the trick for you. For those unfortunate ones who are not using a Mac, we’ll be making a PC equivalent of the widget in the near future. Please download it and let us know what you think in the comments!